Holy moly! The winds of change are blowing! I told you that I was feeling some immense change last week on the podcast and holy crap did the winds of change blow in my direction in the most unexpected and immediate way. Today on the podcast, I'm sharing with you my big change (I'm moving) and how it looked so much different than what I thought. Quite often, we feel like something major is on the horizon, but it doesn't show up and we are left with tumbleweeds instead of fireworks. In this episode, I openly talk about how I've been feeling the sensation of change in my personal life for almost a year now, but this personal shift only appeared last last week. I seriously accredit this wave of change to doing Module 4: The Release of Your Best Life, letting go of what no longer served me, clearing out my self-limiting beliefs, and getting one-on-one coaching from Jess Lively in Flow with Intention Online. Then, BOOM it showed up. This episode is all about how I released my self-liming money block, how I figured out I still had one, and that when I let it go and took the leap on a new stunning place, the Universe supported me. - What to do when you want change to come in your life, but all you hear is crickets. - Why it's so important to clear up your self-limiting beliefs to get the ball of change rolling. - How to wait for the nudge to take inspired action. (+ How I waited for the intuitive hit to peruse Craigslist for a new home). - That the net will appear when you jump if (and only if) you are taking the right next step for your divine calling and path. - Why you shouldn't attempt to figure out the "why" or the "how" or the "when" but simply focus on your vision and let the universe work its magic. - How to make soulful choices based on how you feel and the feelings-based approach when you need to make a big decision. - That periods of contraction are always followed by periods of expansion. (So, if you are feeling a little stuck, know that something good is on the horizon). No jitters, packed with superfoods, and no stomach flare-ups like regular coffee. P.S. 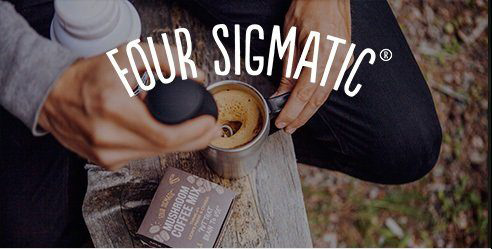 my friends at Four Sigmatic are offering you 10% off your order (anytime!) so use the code: "kellytrach" at checkout. Newer PostIs Your Competitiveness Rooted in Scarcity?